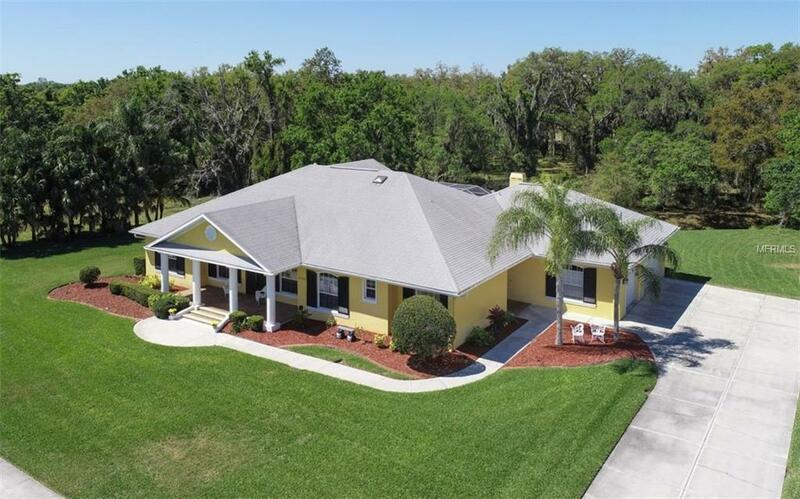 Sprawling, graceful lawns surround this expansive elegant home that sits on almost 2 acres of land adjacent to the 5th fairway of River Club Golf Course. The oversized home site protected by neighboring common area offers total privacy. Once inside, the modern and classic decor is seamlessly fused resulting in a welcoming mix of taste and beauty. The bright formal living space showcases lovely French doors leading to a large pool and spa area. Like the heart of the home, access to this private paradise of outdoor living is available through several rooms. Ideal for entertaining and lounging in the sun, a tree lined back yard provides a quiet respite. Exquisite in decor and function, the kitchen has modern, up to date finishes, and leads to a family room contemporary in style with the added classic warmth of a fireplace. The master bedroom has built-ins and features the almost forgotten appeal of a large, soft window seat, beckoning for a lazy day with a good book. Upstairs you'll find a bedroom and bathroom ideal for guests or your own secluded getaway opening onto a private balcony overlooking the sparkling pool and lush backyard. Convenience and comfort reign with all 3 bedrooms, a bonus room, office/den, and living space on the ground level, making this house the perfect place to call home. Located close to downtown Lakewood Ranch, UTC Mall, and I75.